Far from the battle for the last four being waged by eight selections qualified to the quarter-finals, the unfortunates of the knockouts are calshing for the general classification of the Afrobasket 2013. And the Eagles of Mali and the Stallions of Burkina Faso battled for 15th and 16th places in the Hall of the Palais des Sports. 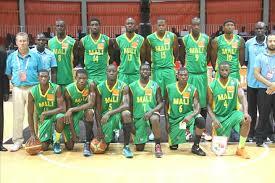 An explanation won by Mali, 71-70. With four players for 10 points and more such as Haider Ibrahim Cherif (14 pts and 11 rebounds) and Modibo Niakaté (20 pts, best scorer of the match), Mali leaves Abidjan with its first victory. Arrived in the Ivorian economic capital, with the goal of reaching the semis, Burkina Faso ranks 16th and winless. Moussa Ouattara (17 pts, 10 rebounds) and Derek Durham (18 pts) are the best stallions in the scoring for the game. Previous post André Villas-Boas: Gareth Bale shall go to Real Madrid!